In 2014 I sent many of you updates during our competition at the Sailing World Championships in Helsinki, Finland. Well, here we are three years later, and after taking on various post-college pursuits, I am now starting a project that I feel is truly worthwhile to share. As a child, I was extremely fortunate to learn how to sail and excel at the sport of competitive sailing. It allowed me to travel internationally, make life-long friends, and eventually be recruited by a top-level university. As a young adult, this background on the water continues to open countless opportunities. Many of my friends who I grew up sailing with in the Caribbean have similar stories and feel the same way. As a collective group, we are extremely blessed to live near and actually “work” on the water in such pursuits as coaching sailing, captaining charters, delivering vessels, racing professionally, and sailing in multiple Olympics. 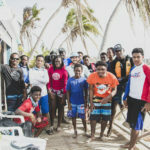 Although we have been incredibly fortunate to receive the support that allowed our ocean-based careers, we recognize that this is in stark contrast to the reality of many young islanders who don’t have access to ocean education, swimming lessons, or the means that would allow them to learn and excel at sailing. To us, this seems like a shame. The sad irony between having some of the greatest sailing conditions in the world and yet some of the fewest native sailors is something we are determined to change. 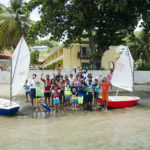 Hence, we’ve formed Bow Sailing (pronounced like Now Sailing) – an outreach program to help bring about this change: to connect the youth who are ready to sail with the coaches, equipment, and funds that are needed to help them sail. While we recognize this is a sizable undertaking, it has to start somewhere. 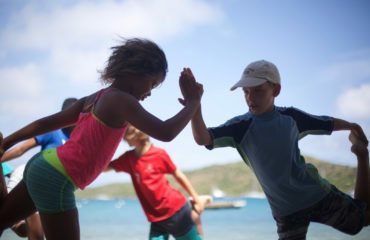 Thus, our first Caribbean coaching tour is taking place this summer between June 13 and August 4 on six different islands throughout the Caribbean. During these trips through the US and British Virgin Islands, St. Vincent, and the Grenadines, our aim is to inspire the next generation of islanders with a love of the ocean, a basic knowledge of sailing, and the resources to continue their sailing education. My intention in sending you this message is to let you know what we are creating here in the Caribbean. 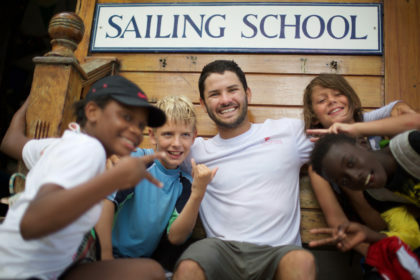 We see these next few months as a pilot program to gauge interest, test our curriculum, and start the process of making sailing a possibility to many more islanders throughout the Caribbean and possibly abroad. The dream is big, the need is there, and we’re determined to make it happen. Throughout the journey, I will be sending you email updates about our experiences. If you don’t wish to be on our mailing list, please let me know and I’d be happy to remove your address. Additionally, you can see more photos, videos, and such via Facebook at Bow Sailing or our coming website at www.bowsailing.com. Once again, thank you all for your support, and enjoy the journey!